As the 3rd generation of fluorescent dyes, AbFluor™ dyes performed not only better than other traditional dyes, such as FITC, TRITC and Cy® dyes, but also exceed the quality of other 2nd generation commercial dyes, such as Alexa Fluor®, Dylight® and IRDye® dyes. AbFluor™ dyes are a series of highly water-soluble fluorescent dyes spanning full UV-visible and near-infrared spectrum for labeling biomolecules, especially proteins and nucleic acids. Their hydrophilic property makes the protein conjugation readily performed in aqueous media, minimizing the use of organic solvents. AbFluor™ dyes not only have much better labeling performance than other fluorescent labeling dyes such as FITC, TRITC, Cy® dyes, Alexa Fluor® and Dylight® labeling dyes, but also far more stable than the antibodies or other biomolecules they label. Innovative modifications to the core structure makes AbFluor™ dyes superior to other commercial dyes with many innovative novel features, including higher fluorescence brightness, improved photostability, broader pH range tolerance, better permeability and lower background. 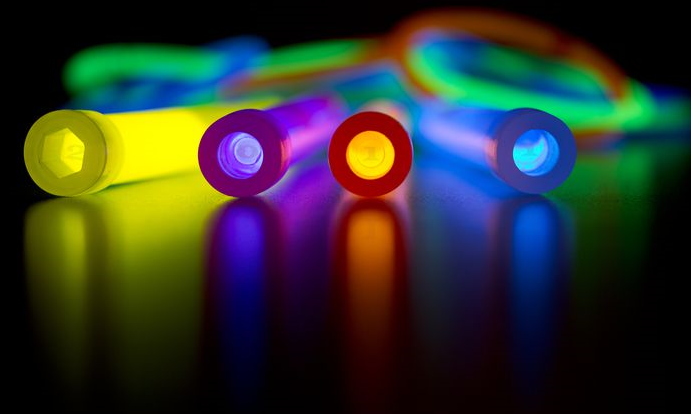 As the 3rd generation of fluorescent dyes, AbFluor™ dyes performed not only better than other traditional dyes, such as FITC, TRITC and Cy® dyes, but also exceed the quality of other 2nd generation commercial dyes, such as Alexa Fluor®, Dylight® and IRDye® dyes. 1. AbFluor™ dyes have excellent chemical structures, stable reactive group, with good photostability, ensuring the stability and high labeling effciency of bioconjugation. 2. Highly water soluble (>100 mg/mL), minimizing ﬂuorescence quenching. Also very soluble in other polar solvents, such as DMSO, DMF, methanol and ethanol. 3. Broad fluoresence spectrum ranging from UV-visible to near-infrared, satisfing the demands of most researchers. 4. Good PH tolerance, which are chemically stable within the pH range of almost 2 –11. Abbkine has launched AbFluor™ dyes Conjugated Tag/Loading Control Antibodies, AbFluor™ dyes free acid and succinimidyl ester, Annexin V-AbFluor™ dyes Apoptosis Detection Kits and AbFluor™ dyes Conjugated Labeling Kits, you can click here to know more information.